2017 was a good year for Social Movement Studies. We received almost 200 new submissions in total - providing a challenge in keeping up with the review process, but also indicating the quality and breadth of our growing field. We recruited three excellent colleagues to the Editorial Board.And we gained our highest impact factor so far, being one (albeit imperfect) indicator of the growing influence of our authors. Some of the information below attests to the increasing scope of our field: the word cloud demonstrates thematic coverage, and the map indicates geographic spread. We have been keenly aware in recent years of critiques of Euro-centrism in movement scholarship (as in many fields of social scientific research); this challenge remains on both epirical and theoretical levels, and has been very well expressed in the most recent edition of Interface. We continue to encourage submissions that promise to broaden the field in terms of geographic scope and theoretical resources. Vestergren, Sara, John Drury, and Eva Hammar Chiriac. 2017. 'The Biographical Consequences of Protest and Activism: A Systematic Review and a New Typology'. Social Movement Studies 16(2):203-21. Dahlberg-Grundberg, Michael and Johan Örestig. 2017. 'Extending the Local: Activist Types and Forms of Social Media Use in the Case of an Anti-Mining Struggle'. Social Movement Studies 16(3):309-22. Verhoeven, Imrat and Jan Willem Duyvendak. 2017. 'Understanding Governmental Activism'. Social Movement Studies 16(5):564-77. Guenther, Katja M. 2017. 'How Volunteerism Inhibits Mobilization: A Case Study of Shelter Animal Advocates'. Social Movement Studies 16(2):240-53. Fominaya, Cristina Flesher. 2017. 'European Anti-Austerity and pro-Democracy Protests in the Wake of the Global Financial Crisis'. Social Movement Studies 16(1):1-20. Baumgarten, Britta. 2017. 'The Children of the Carnation Revolution? Connections between Portugal's Anti-Austerity Movement and the Revolutionary Period 1974/1975'. Social Movement Studies 16(1):51-63. Zamponi, Lorenzo and Joseba Fernández González. 2017. 'Dissenting Youth: How Student and Youth Struggles Helped Shape Anti-Austerity Mobilisations in Southern Europe'. Social Movement Studies 16(1):64-81. Císař, Ondřej and Jiří Navrátil. 2017. 'Polanyi, Political-Economic Opportunity Structure and Protest: Capitalism and Contention in the Post-Communist Czech Republic'. Social Movement Studies 16(1):82-100. Kanellopoulos, Kostas, Konstantinos Kostopoulos, Dimitris Papanikolopoulos, and Vasileios Rongas. 2017. 'Competing Modes of Coordination in the Greek Anti-Austerity Campaign, 2010-2012'. Social Movement Studies 16(1):101-18. Fernández-Savater, Edited by Amador et al. 2017. 'Life after the Squares: Reflections on the Consequences of the Occupy Movements'. Social Movement Studies 16(1):119-51. Tominaga, Kyoko. 2017. 'Social Reproduction and the Limitations of Protest Camps: Openness and Exclusion of Social Movements in Japan'. Social Movement Studies 16(3):269-82. Hayes, Graeme. 2017. 'Regimes of Austerity'. Social Movement Studies 16(1):21-35. Gerbaudo, Paolo. 2017. 'The Indignant Citizen: Anti-Austerity Movements in Southern Europe and the Anti-Oligarchic Reclaiming of Citizenship'. Social Movement Studies 16(1):36-50. Císař, Ondřej and Jiří Navrátil. 2017. ‘Polanyi, Political-Economic Opportunity Structure and Protest: Capitalism and Contention in the Post-Communist Czech Republic’. 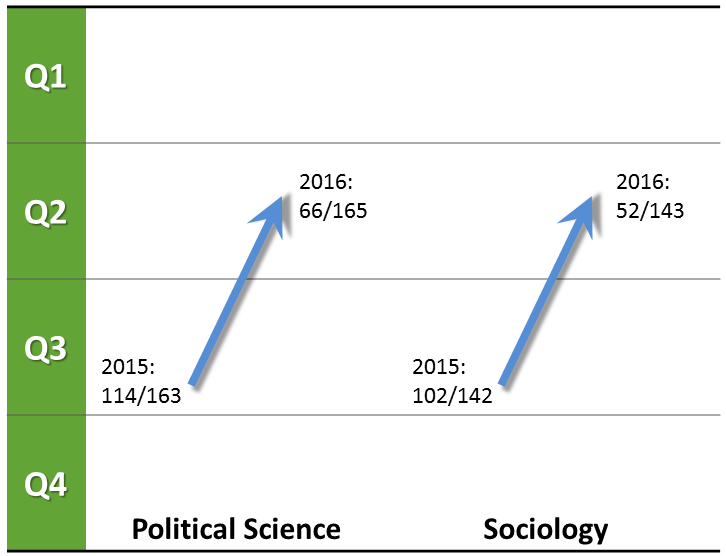 Social Movement Studies 16(1):82–100. Faruque, M. Omar. 2017. 'Profile: Neoliberal Resource Governance and Counter-Hegemonic Social Movement in Bangladesh'. Social Movement Studies 16(2):254-59. Gallo-Cruz, Selina. 2017. 'The Insufficient Imagery of Top-down, Bottom-up in Global Movements Analysis'. Social Movement Studies 16(2):153-68. Walsh-Russo, Cecelia. 2017. 'Mutual Brokerage and Women's Participation in Nineteenth-Century Anglo-American Abolitionist Movements'. Social Movement Studies 16(6):633-46. Liu, Shih-Diing and Wei Shi. 2017. 'Profile: Worker Struggles and Factory Occupation in China during the Current Economic Crisis'. Social Movement Studies 16(3):355-60. Liu, Jun. 2017. 'From 'Moments of Madness' to 'the Politics of Mundanity' - Researching Digital Media and Contentious Collective Actions in China'. Social Movement Studies 16(4):418-32. Törnberg, Anton and Petter Törnberg. 2017. 'Modelling Free Social Spaces and the Diffusion of Social Mobilization'. Social Movement Studies 16(2):182-202. Pavan, Elena. 2017. 'The Integrative Power of Online Collective Action Networks beyond Protest. Exploring Social Media Use in the Process of Institutionalization'. Social Movement Studies 16(4):433-46. Uitermark, Justus. 2017. 'Complex Contention: Analyzing Power Dynamics within Anonymous'. Social Movement Studies 16(4):403-17. Lee, Chengpang. 2017. 'Overcoming the Latecomer Dilemma: The Unintended Effect of Successful Strategies in the Community University Movement in Taiwan'. Social Movement Studies 16(6):672-85. Park, Soon Seok and Andrew Raridon. 2017. 'Survivor: Spectators and Gladiators in the US Environmental Movement, 2000-2010'. Social Movement Studies 16(6):721-34. Aslam, Ali. 2017. 'Salat-Al-Juma: Organizing the Public in Tahrir Square'. Social Movement Studies 16(3):297-308. Østbø, Jardar. 2017. 'Demonstrations against Demonstrations: The Dispiriting Emotions of the Kremlin's Social Media 'Mobilization''. Social Movement Studies 16(3):283-96. Ahmed, Saifuddin, Kokil Jaidka, and Jaeho Cho. 2017. 'Tweeting India's Nirbhaya Protest: A Study of Emotional Dynamics in an Online Social Movement'. Social Movement Studies 16(4):447-65. Kleres, Jochen and Åsa Wettergren. 2017. 'Fear, Hope, Anger, and Guilt in Climate Activism'. Social Movement Studies 16(5):507-19. Beckett, Angharad E., Paul Bagguley, and Tom Campbell. 2017. 'Foucault, Social Movements and Heterotopic Horizons: Rupturing the Order of Things'. Social Movement Studies 16(2):169-81. Nefes, Türkay Salim. 2017. 'The Impacts of the Turkish Government's Conspiratorial Framing of the Gezi Park Protests'. Social Movement Studies 16(5):610-22. Cheng, Edmund W. and Wai-Yin Chan. 2017. 'Explaining Spontaneous Occupation: Antecedents, Contingencies and Spaces in the Umbrella Movement'. Social Movement Studies 16(2):222-39. Flesher Fominaya, Cristina and Kevin Gillan. 2017. 'Navigating the Technology-Media-Movements Complex'. Social Movement Studies 16(4):383-402. Hensby, Alexander. 2017. 'Open Networks and Secret Facebook Groups: Exploring Cycle Effects on Activists' Social Media Use in the 2010/11 UK Student Protests'. Social Movement Studies 16(4):466-78. Gawerc, Michelle I. 2017. 'Solidarity Is in the Heart, Not in the Field: Joint Israeli-Palestinian Peace Movement Organizations during the 2014 Gaza War'. Social Movement Studies 16(5):520-34. Earl, Jennifer and R. Kelly Garrett. 2017. 'The New Information Frontier: Toward a More Nuanced View of Social Movement Communication'. Social Movement Studies 16(4):479-93. Mattoni, Alice. 2017. 'A Situated Understanding of Digital Technologies in Social Movements. Media Ecology and Media Practice Approaches'. Social Movement Studies 16(4):494-505. Cini, Lorenzo and César Guzmán-Concha. 2017. 'Profile: Student Movements in the Age of Austerity. The Cases of Chile and England'. Social Movement Studies 16(5):623-28. Bertuzzi, Niccolo. 2017. 'Profile: No Expo Network: A Failed Mobilization in a Post-Political Frame'. Social Movement Studies 16(6):752-56. Martin, Andrew W., Marc Dixon, and Michael Nau. 2017. 'Leveraging Corporate Influence'. Social Movement Studies 16(3):323-39. Ketelaars, Pauline, Stefaan Walgrave, and Ruud Wouters. 2017. 'Protesters on Message? Explaining Demonstrators' Differential Degrees of Frame Alignment'. Social Movement Studies 16(3):340-54. Wood, Lesley J., Suzanne Staggenborg, Glenn J. Stalker, and Rachel Kutz-Flamenbaum. 2017. 'Eventful Events: Local Outcomes of G20 Summit Protests in Pittsburgh and Toronto'. Social Movement Studies 16(5):595-609. Sabucedo, José-Manuel, Cristina Gómez-Román, Mónica Alzate, Jacquelien van Stekelenburg, and Bert Klandermans. 2017. 'Comparing Protests and Demonstrators in Times of Austerity: Regular and Occasional Protesters in Universalistic and Particularistic Mobilisations'. Social Movement Studies 16(6):704-20. Johnston, Genevieve and Matthew S. Johnston. 2017. ''We Fight for All Living Things': Countering Misconceptions about the Radical Animal Liberation Movement'. Social Movement Studies 16(6):735-51. Yang, Chia-Ling. 2017. 'The Political Is the Personal: Women's Participation in Taiwan's Sunflower Movement'. Social Movement Studies 16(6):660-71. Boutcher, Steven A., J. Craig Jenkins, and Nella Van Dyke. 2017. 'Strain, Ethnic Competition, and Power Devaluation: White Supremacist Protest in the U.S., 1948-1997'. Social Movement Studies 16(6):686-703. Barlow, Rebecca and Fatemeh Nejati. 2017. 'Profile: Impact and Significance of the 2016 'Campaign to Change the Male Face of Parliament' in Iran'. Social Movement Studies 16(3):361-68. Yates, Luke. 2014. ‘Rethinking Prefiguration: Alternatives, Micropolitics and Goals in Social Movements’. Social Movement Studies 14(1):1–21. Flesher Fominaya, Cristina. 2015. ‘Debunking Spontaneity: Spain’s 15-M/Indignados as Autonomous Movement’. Social Movement Studies 14(2):142–63. Maeckelbergh, Marianne. 2011. ‘Doing Is Believing: Prefiguration as Strategic Practice in the Alterglobalization Movement’. Social Movement Studies 10(1):1–20. Tremayne, Mark. 2014. ‘Anatomy of Protest in the Digital Era: A Network Analysis of Twitter and Occupy Wall Street’. Social Movement Studies 13(1):110–26. Castañeda, Ernesto. 2012. ‘The Indignados of Spain: A Precedent to Occupy Wall Street’. Social Movement Studies 11(3–4):309–19. Most cited according to CrossRef figures available at Taylor & Francis Online in January 2018. JCR / Clarative Rankings available from Clarivate Analytics / Web of Science Journal Citation Reports. The SMS Editorial Board are: Kevin Gillan (Editor-in-Chief), Marcos Ancelovici, Gemma Edwards, Cristina Flesher Fominaya, John Krinsky, Marianne Maeckelbergh, Eduardo Romanos, Clare Saunders, Luke Yates (Reviews Editor) and Hazel Burke (Managing Editor). We would like to thank all of our submitting authors, our Advisory Board and all peer reviewers for their contributions over the last year. This infographic was created by Kevin Gillan.